Yeah! This same plan which works faster than any existing virtual servers on the Earth. 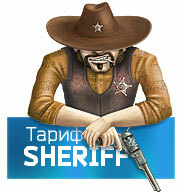 This Sheriff - he can do anything!